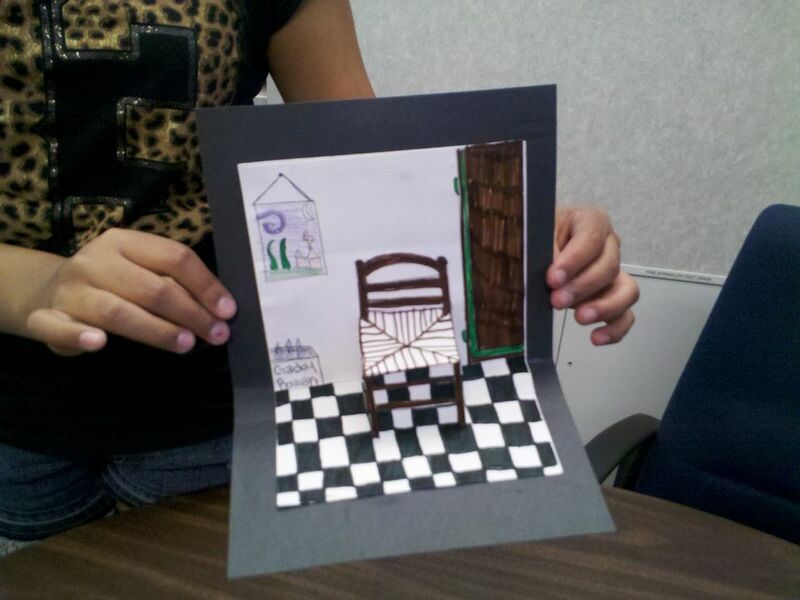 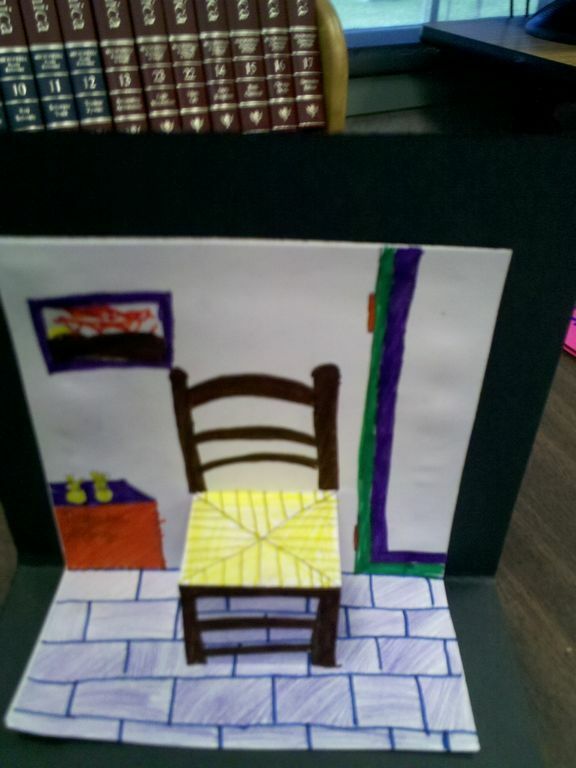 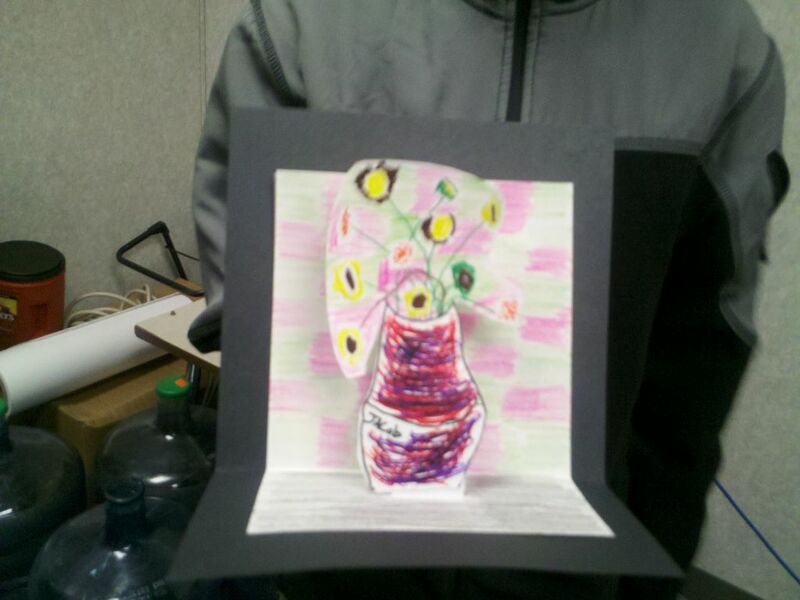 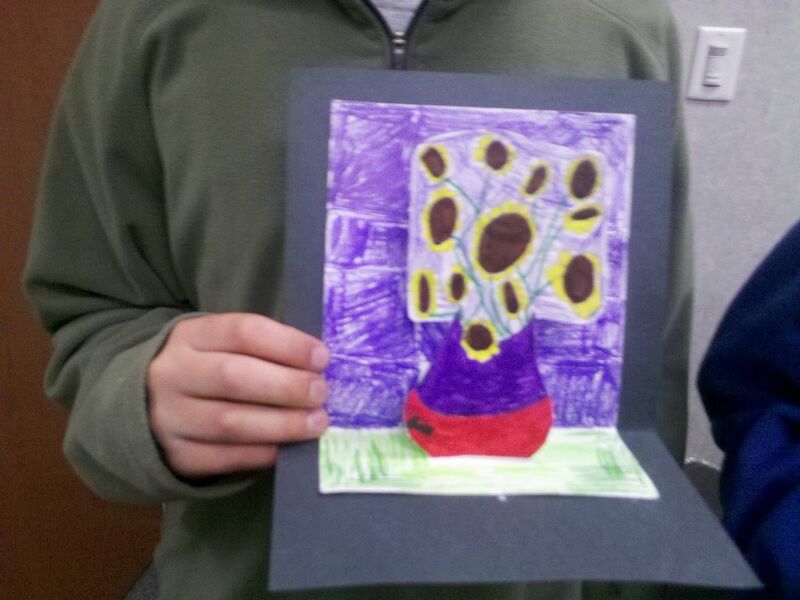 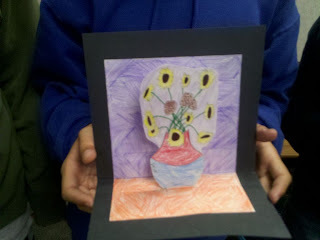 Here's Van Gogh's Chair to go with Van Gogh's Sunflower 3D lesson. 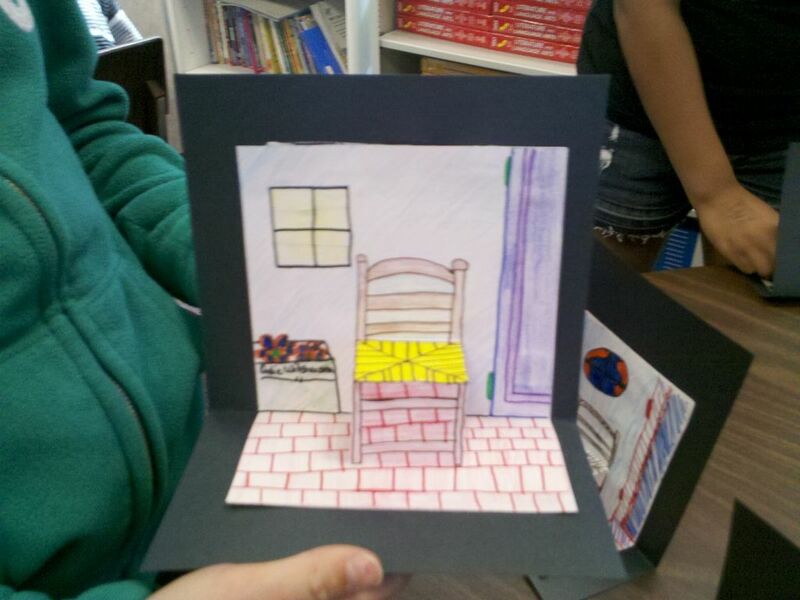 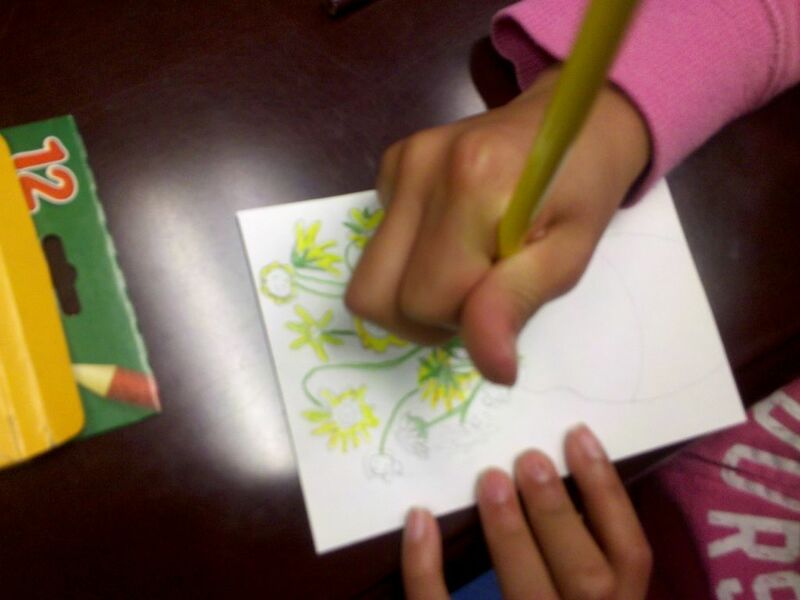 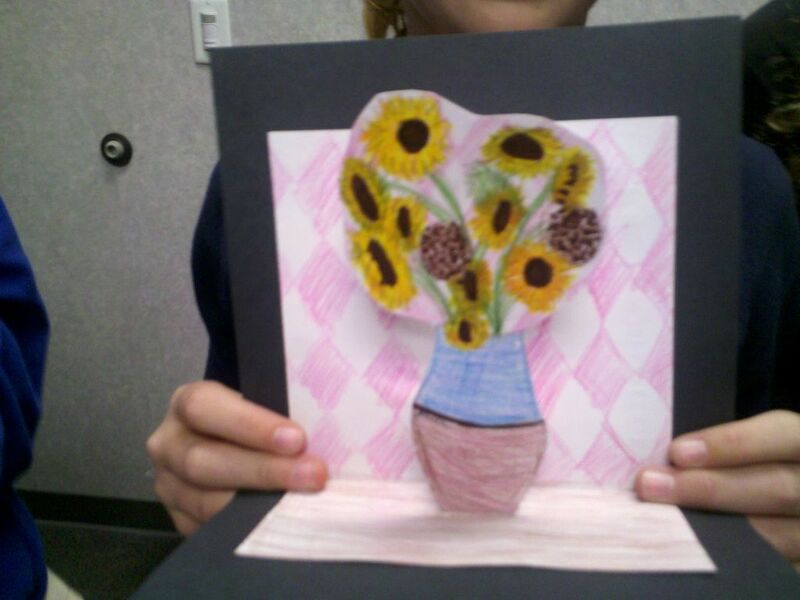 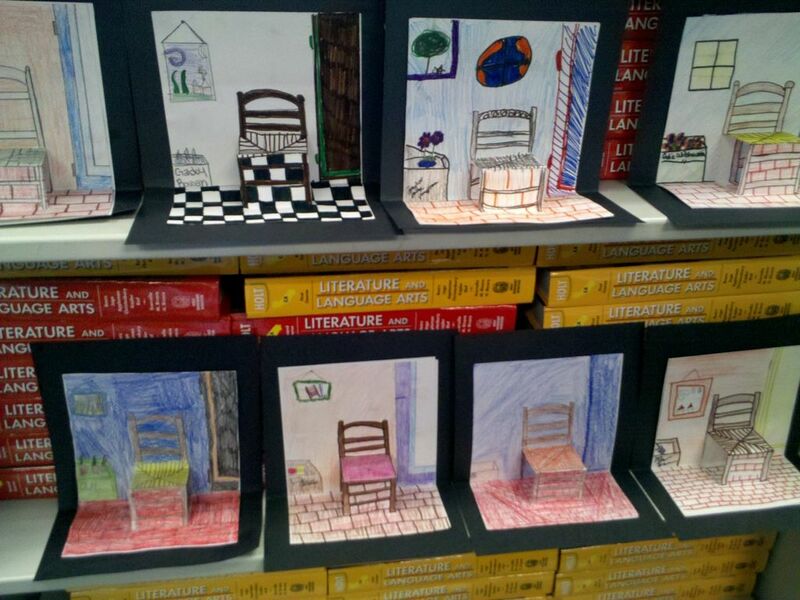 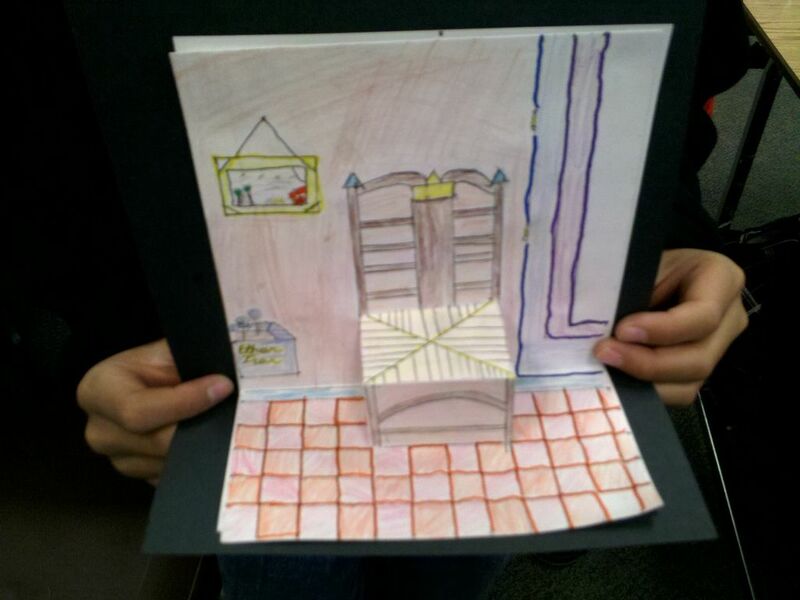 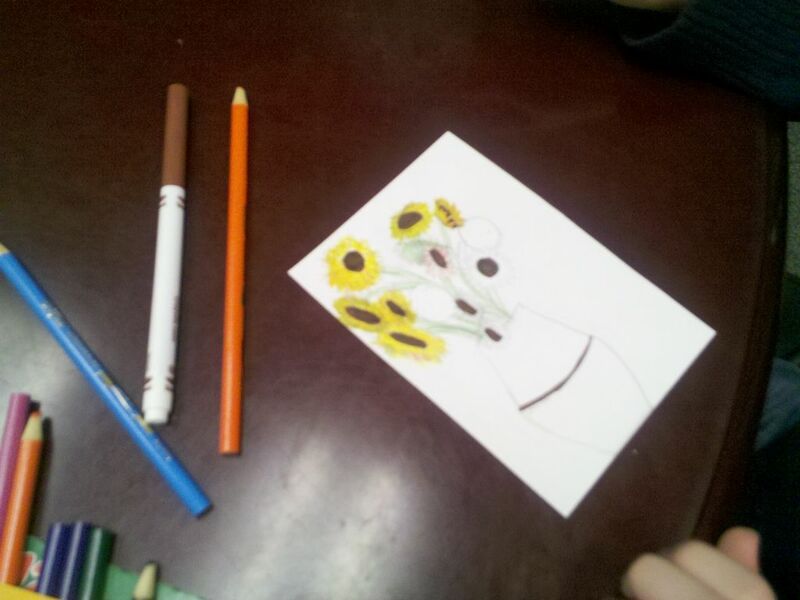 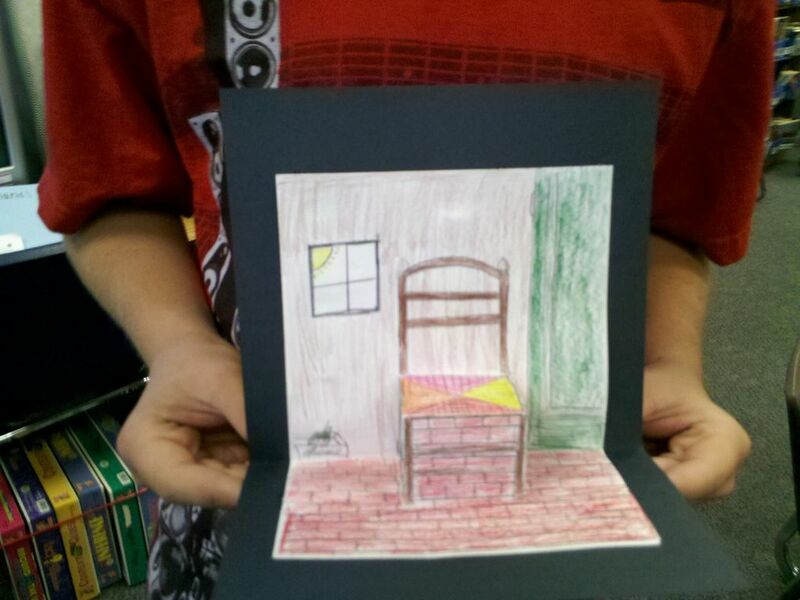 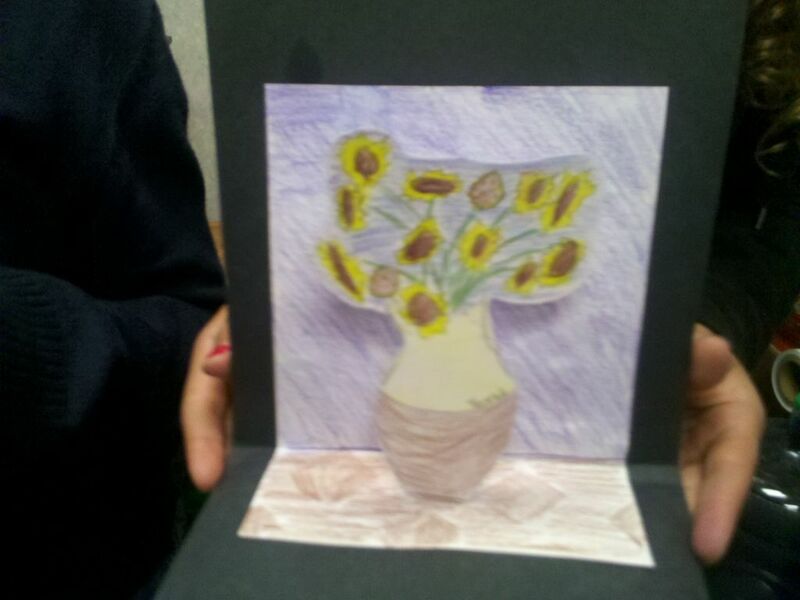 Again, thanks Anne from Use Your Coloured Pencils for inspiring this idea with her Van Gogh Pop-Up Chair lesson. Each student was given one black paper and 2 white papers. 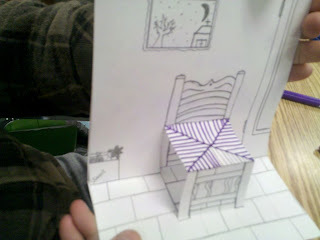 After that, cut two slits in one white paper on the fold to make pop-up chair seat. 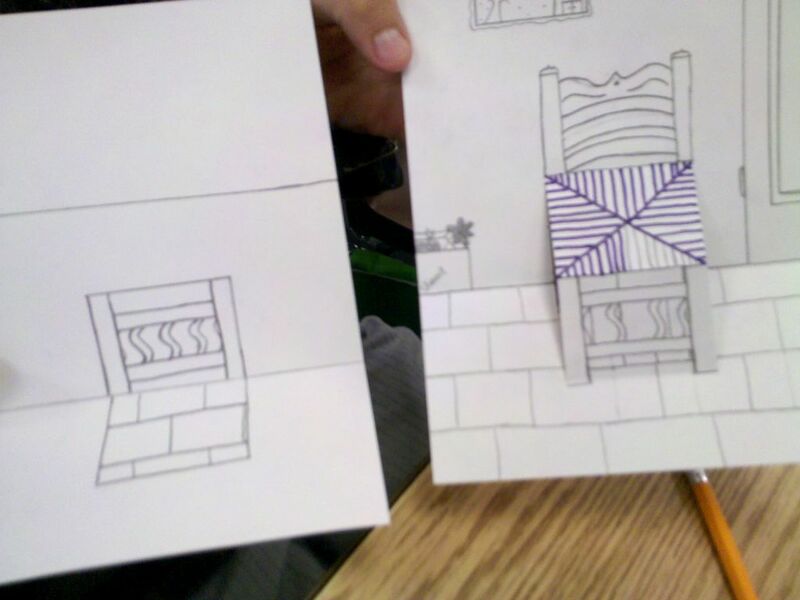 Then we drew and colored chair and background on first white paper, then drew and colored floor and wall on white paper with slits cut for chair. Then we drew floor and wall on 2nd white paper in area that shows through the back, when white papers are placed on top of one another. 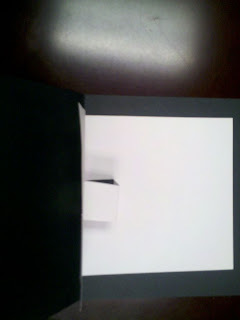 Last, glue white papers onto black background. Example of front white paper and background white paper. 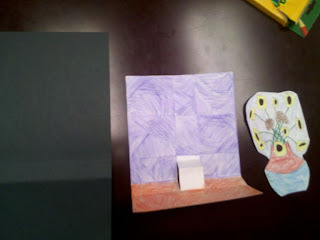 Below is what they look like when placed on top of one another. 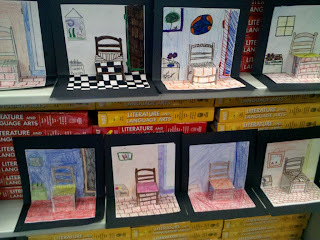 The little chairs looked so cute on the book shelves in the classroom:) Thanks bunches Flamson 6th graders! Last year, summer lesson art project. Just curious if you teach art during the school year, AND summer too? 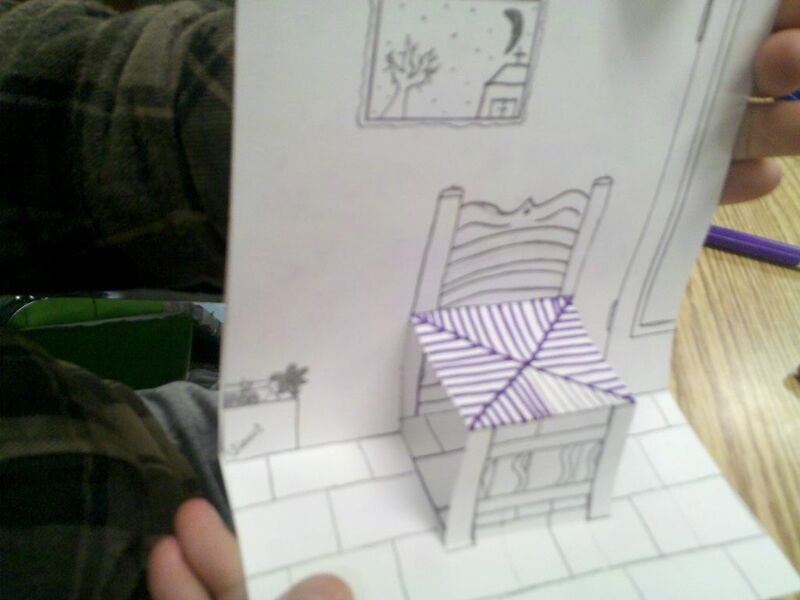 If you do, my hat goes off to you!! 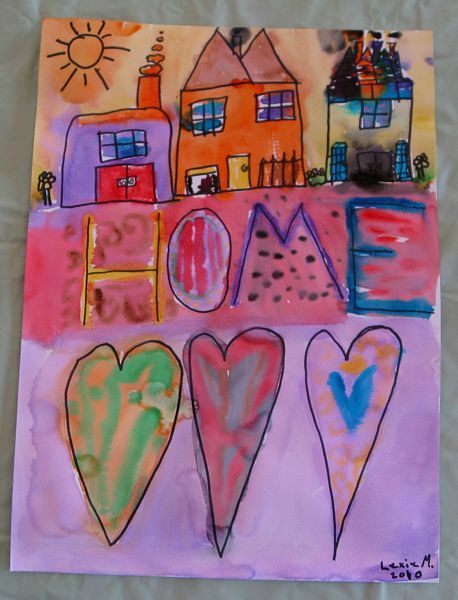 I love kids, but honestly there are times when I revel in not being around other people's children. 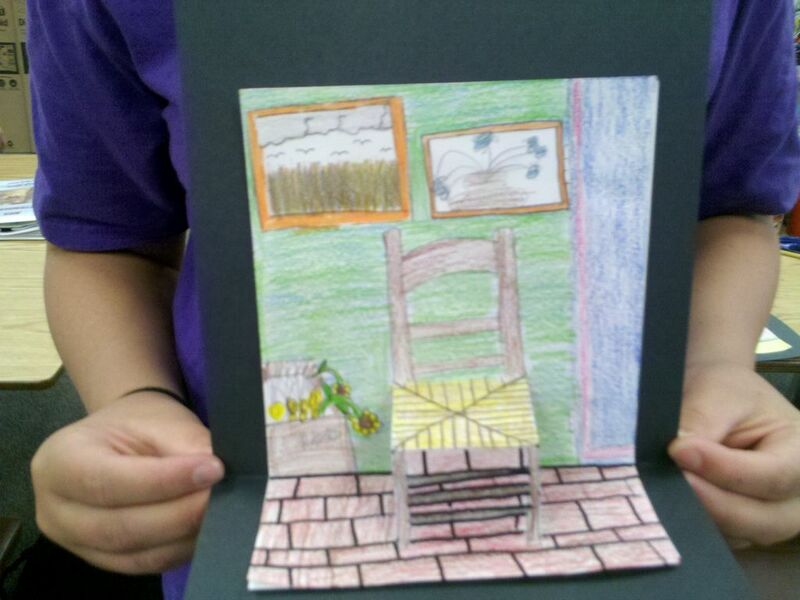 Thanks Anne from Use Your Coloured Pencils for inspiring this idea with her Van Gogh Pop-Up Chair lesson. 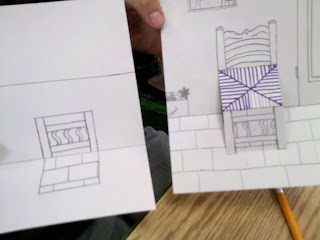 We did the chairs too, they were fun! 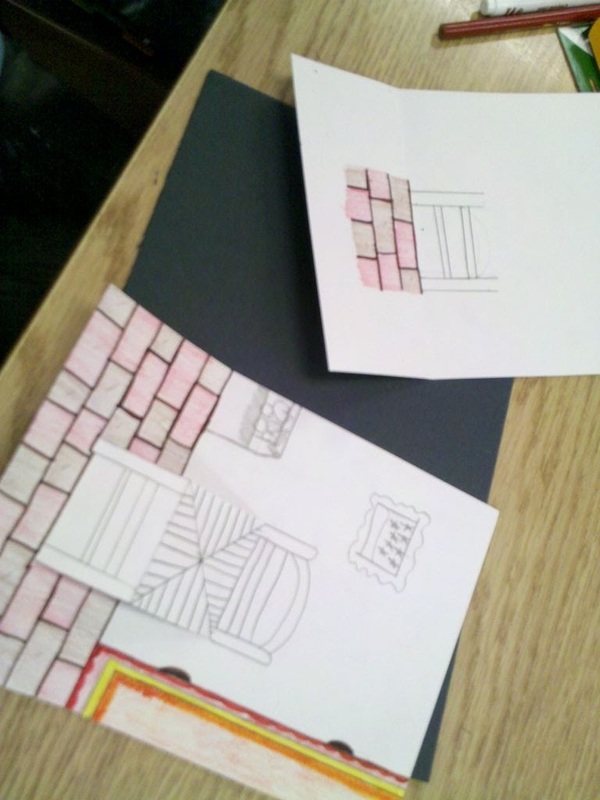 This was a simple lesson, but it took longer than I thought it would because the kids got into the coloring of their backgrounds. Each student was given 1 black, 6"x9" paper, and 1 white 5"x7" & 1 white 4"x6" papers. 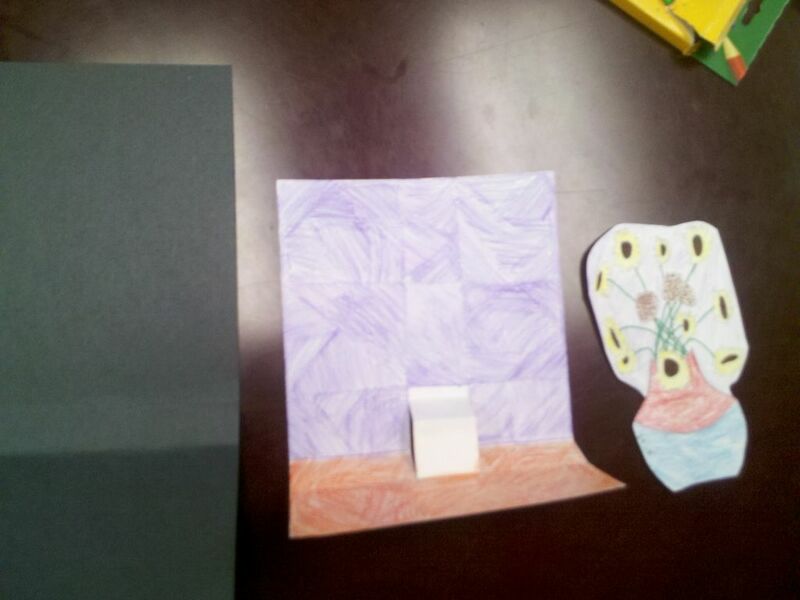 Next make 2 cuts on fold of 5x7" white paper to make the 3D shelf which will hold the vase of flowers in front of the background. Last, glue white background onto black background.